Do you love the comedy? Then you’ll love this take on Only Fools and Horses. 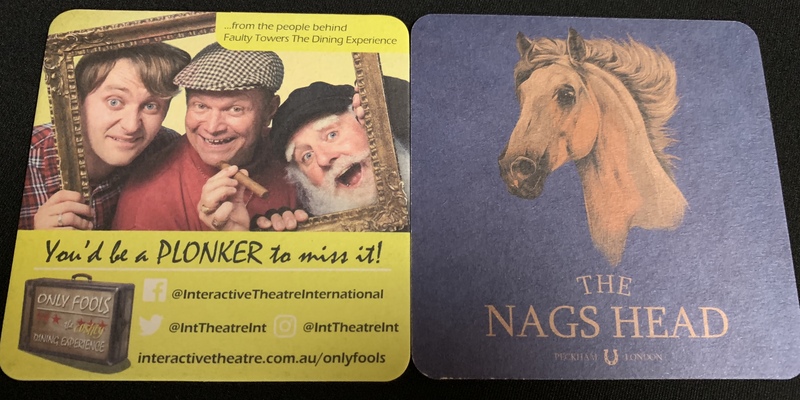 Interactive Theatre International brings to London this new immersive experience Only Fools The (cushty) Dining Experience transporting audiences to The Nags Head, to meet the pride of Peckham Del in a night of wheeling, dealing and eating. Del as per usual is always trying to make cash with some wheeling and dealing to drum up some cash but like usual his schemes always back fire. A cushty night out with plenty of comedy, a quiz and a 3-course 80’s retro meal. This is a quiz night any diner won’t forget in ah hurry. So don’t be a plonker and book a table at this wholly original immersive theatre show created in loving tribute to the BBC’s Only Fools & Horses TV series. Is playing all over the UK for a limited time. Thanks to Interactive Theatre International who let some of the community of Love Pop Ups London come down to enjoy a night with Del, Rodney and co. Read all blogs/reviews from the comments section below. If you love Del and Rodney as much as me then you’ll love this take on Only Fools and Horses. Don’t be a lemon and book now.